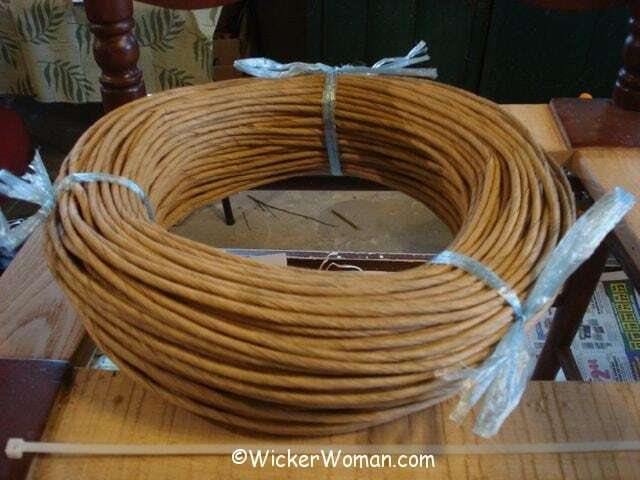 What is Paper Fibre Rush, Paper Rope or Paper Wicker? What Is Paper Rush, Paper Wicker, Paper Rope? Are you confused with all these terms thrown around about what exactly is paper fibre rush, paper wicker and paper rope or twist? Would it help to know the difference so you can purchase antique furniture and not get ripped off? In this article, you’ll learn the differences between the various paper rush materials, giving you a clear picture of what the terms mean and also show examples. Enjoy! What is Paper Wicker or Paper Rush? Paper rush or paper wicker is a man-made fiber of chemically treated twisted kraft paper. It was used primarily in the construction and manufacturing of wicker furniture from the early 1900s to the late 1930s. Invented here in the United States in 1904, paper fibre rush wicker emulated the Victorian wicker furniture made from imported rattan reed. This new twisted paper material was often called “Fibre Reed” and “Art Fibre” with the spelling of the word denoting a man-made material, not the natural reed. 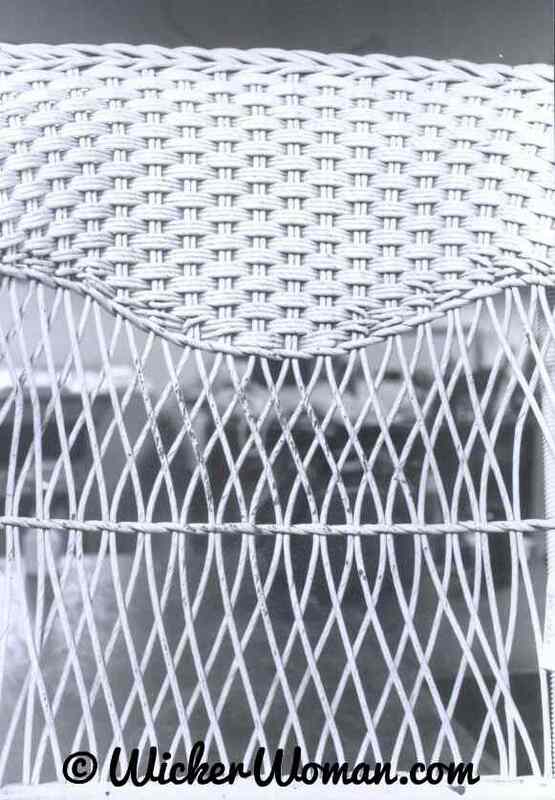 In today’s vernacular, you might recognize this material as “creative twist” or simply “paper wicker”. At the turn of the twentieth century, an embargo was placed on the importation into the United States of rattan reed coming from the Orient. 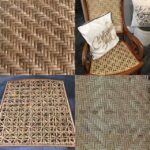 Since rattan reed was in such short supply here and unobtainable now due to the embargo, manufacturers of wicker furniture using reed or rattan were forced to come up with an alternative weaving material. This new paper fibre rush material solved the problem of the scarcity of materials due to the embargo. 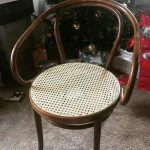 With the addition of the more simple lines of the Mission era furniture of the time, it also cut down on the exorbitant man-hours necessary to produce the elaborate designs of the Victorian age rattan reed wicker furniture. Paper fibre rush was constructed from a paper pulp that was treated with sizing and glue and twisted in a rope-like fashion to resemble the rattan reed strands. Paper fibre was a very flexible and versatile material with many advantages. 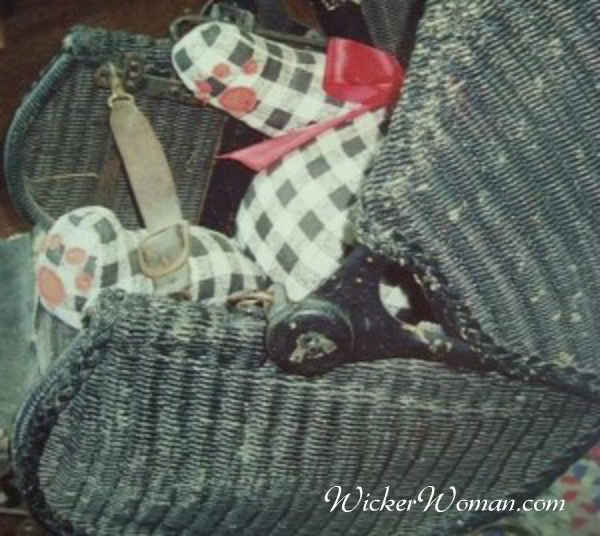 Paper rush or paper wicker was available in several different sizes and colors and could be easily manipulated by factory employees and required no soaking in water like the natural rattan reed did. It was a porous material that could be dyed by the manufacturer during processing, or could have a final finish coat of lacquer, shellac or even paint applied after completion. The American public loved these new, sleek Mission, Arts & Crafts and later Art Deco style lines, so the paper fibre wicker was a significant rival of the rattan reed for many years. If the customer decided to change the color, it was easily accomplished by taking the light-weight wicker furniture outdoors and repainting using a brush. Many families even turned this chore into an annual family tradition. 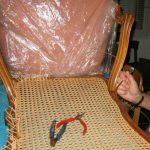 That’s why you see so many coats of paint on well-used paper fibre wicker furniture such as couches, chairs and rockers. With the invention of the mechanized Lloyd Loom in 1917, this new wicker furniture was produced even more rapidly than before, reducing the labor costs significantly for the manufacturers. Lloyd’s looms were able to produce “fabric-like sheets” using small, spaghetti-size strands of twisted paper fibre that could then be attached to the framework of all sorts of furniture; couches, tables, chairs and baby buggies to name a few. 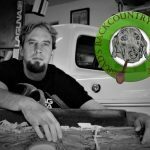 Here is a very interesting YouTube video on how manufacturers are currently making the Lloyd Loom wicker furniture in Hungary. Granted, this video was made in Hungary and the narration is in Dutch with no English translation, but the video showing the manufacturing process of the paper fibre on the actual looms, seeing the factory itself and watching the craftsmen at their work is simply fascinating. I’m sure you will enjoy seeing this too! This new paper material didn’t escape the attention of the wooden chair manufacturers either. Before the invention of the continuous-strand paper rush that was available both by the reel and by the coil, they had woven chair seats with natural cattail leaf rush or bulrush. Both of these natural products were labor intensive in their processing and weaving. So when the new product became available, they also opted for the paper fibre rush as a replacement for the natural rush seats on ladder-back Colonial style chairs, mule-ear style chairs, Hitchcock and the like. No longer did workers need to gather, harvest and process the natural rush materials from the swamps and ditches. 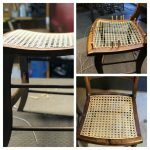 Then prepare the rush, twisting the strands as they went to make the rope-like weavers around the seat frames to create the pattern. Now this new paper fibre rush could be purchased by the one-pound or three-pound coil, and 35-pound reel. 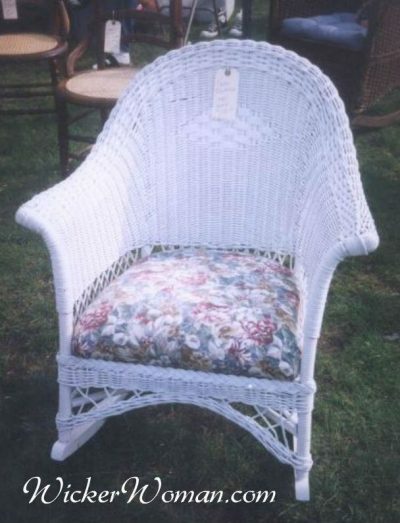 And it was also available in a variety of dimensions; 4/32″, 5/32″ and 6/32″ to suit the size of the chair frame or wicker furniture project at hand. Since it came in a continuous strand, there was no need for constant “joins”. The seatweaver could cut off as much as he needed and could handle in one sitting. 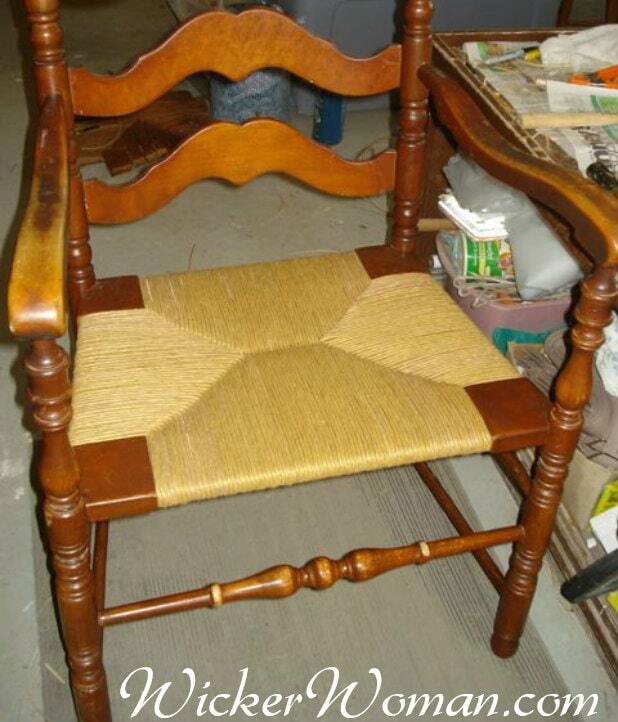 Then final finish coats could be applied of either varnish, lacquer or shellac to protect the seat from spills. 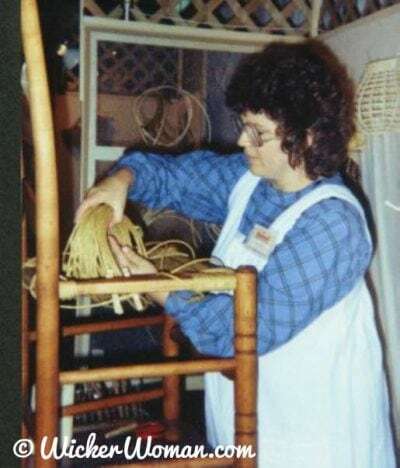 During the 1920s and 1930s, the art fibre paper rush was also popular that rush seat weaving and wicker furniture making was taught in just about all the schools and even through at-home weaving parties and classes. Schoolboys would weave entire chairs, rockers, tables and lamps in their school classes. And housewives could get together to socialize and work on weaving projects for their homes at the same time. 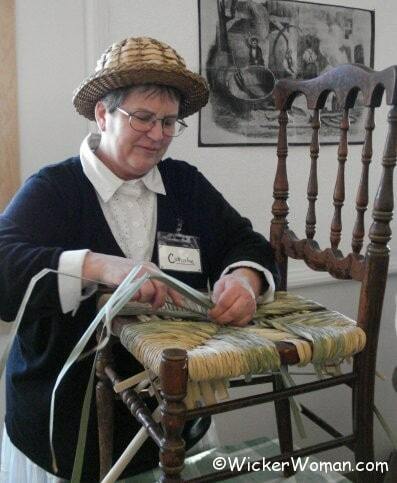 Although the paper fibre is more durable and less expensive than its counterpart natural rush, a museum quality, antique, or previously woven natural rush seat should be rewoven in the same material to keep its antique value and authenticity. If the chair to be rewoven is more on the contemporary side with little value, and you desire a functional, durable chair, then the paper fibre rush is a good choice, because it will last for 5-50 years under normal use and care. 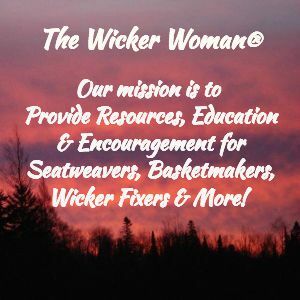 Hope you’ve enjoyed this FREE article on “What is Paper Fibre Rush or Paper Wicker” and will help to support this information site by donating generously!